Characteristics: Evergreen tree with pretty white flowers in summer. 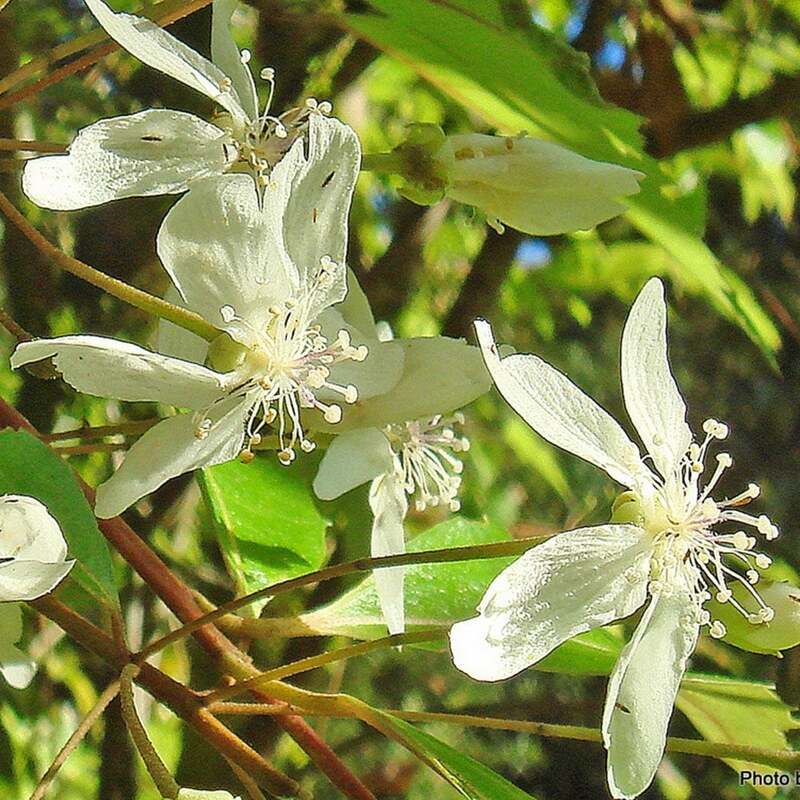 Flowering: White flowers in June and July. Height and Spread in 20 years: 4m / 1.5m. Hardiness and Best Position: Fully hardy. Full sun. Soil: Good well-drained garden soil. Lovely ornamental tree with a pyramidal shape that is evergreen, adding colour to your garden all-year round. In summer it looks glorious with a burst of white flowers very similar to those of a Cherry Blossom tree. The leaves are a mid-green with tooth-like edging. The Lacebark tree is fully hardy and thrives best in full sun. it will grow in any well-drained garden soil and is suitable for both city and coastal gardens. In colder areas it is best to plant it in a sheltered spot away from cold winds. In a 20 year period it will reach heights of 4m with a spread of 1.5m. If left unpruned, the Lacebark tree grows to Christmas tree style pyramidal shape. It can be clipped to create a hedge or screening barrier which offers cover throughout the year, ideal for urban gardens when privacy is needed.